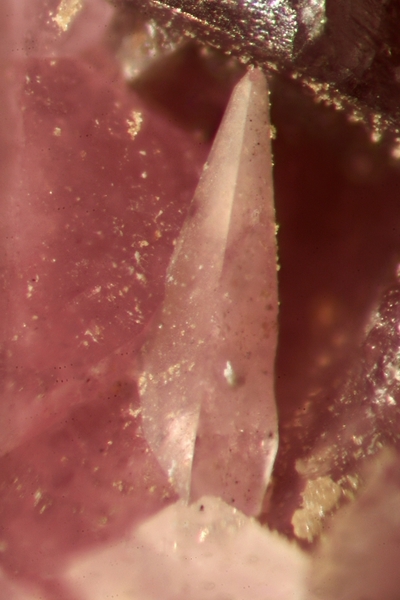 Hodgkinsonite: Mineral information, data and localities. Named in 1913 by Charles Palache and Waldemar Theodore Schaller in recognition of Harold Howe Hodgkinson [June 2, 1886 Toronto, Ontario, Canada - October 10, 1947 New Rochelle, New York, USA], assistant Underground Superintendent of the Franklin Mine and brought the mineral to the attention of Charles Palache. In later life, Hodgkinson rose in business to be president of the Hodge and Hammond Company, dealers of construction equipment in the Bronx, New York, New York. Visit gemdat.org for gemological information about Hodgkinsonite. Zincite 30 photos of Hodgkinsonite associated with Zincite on mindat.org. Hetaerolite 27 photos of Hodgkinsonite associated with Hetaerolite on mindat.org. Franklinite 18 photos of Hodgkinsonite associated with Franklinite on mindat.org. Willemite 14 photos of Hodgkinsonite associated with Willemite on mindat.org. Chlorophoenicite 11 photos of Hodgkinsonite associated with Chlorophoenicite on mindat.org. Copper 10 photos of Hodgkinsonite associated with Copper on mindat.org. Franklinfurnaceite 6 photos of Hodgkinsonite associated with Franklinfurnaceite on mindat.org. Baryte 6 photos of Hodgkinsonite associated with Baryte on mindat.org. Fluorite 5 photos of Hodgkinsonite associated with Fluorite on mindat.org. Sussexite 4 photos of Hodgkinsonite associated with Sussexite on mindat.org. 14.7.4 Macdonaldite BaCa4Si16O36(OH)2 · 10H2O Orth. Palache, C. and Schaller, W.T. (1913): Hodgkinsonite, a new mineral from Franklin Furnace, New Jersey. J. Wash. Acad. Sci., 3(19), 474-478. Roberts, W.M.B. and Quodling, F.M. 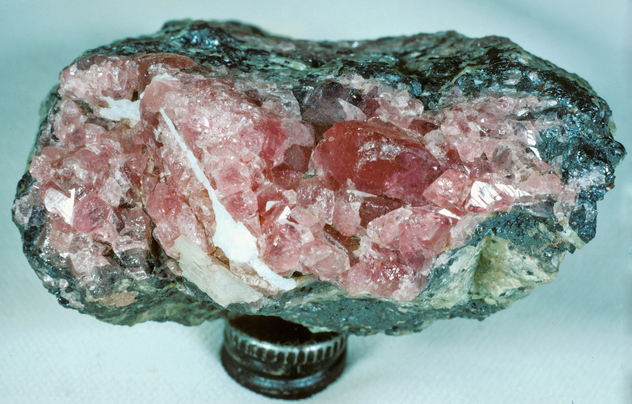 (1962): X-ray, optical, and morphological observations on hodgkinsonite from Franklin Furnace. Mineral. Mag., 33, 343-346. Rentzeperis, P.J. (1963): The crystal structure of hodgkinsonite, Zn2Mn[(OH)2SiO4]: Zeitschrift für Kristallographie, 119, 117-138. Dunn, P.J. and Bostwick, R.C. (1982): Hodgkinsonite from Franklin and Sterling Hill, New Jersey: a review. 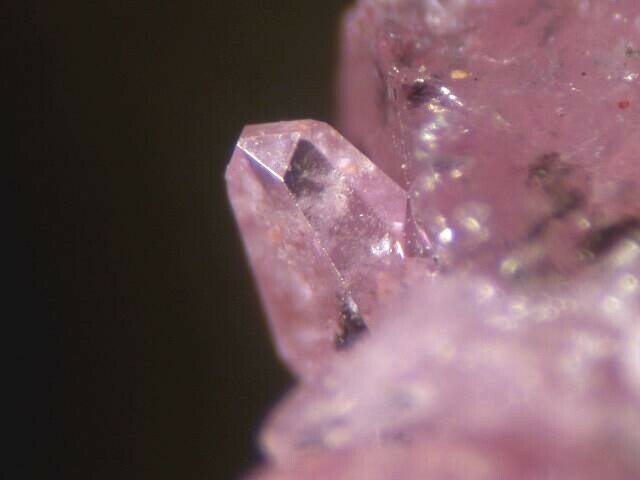 Mineralogical Record, 13, 229-232. Cook, D.K. : Recent work on the mins. of Franklin & Sterling Hill, NJ: Min.Rec. :4:62-66 (1973); Dunn(1995):Pt3:375-376.